As the international business climate becomes increasingly unstable, a number of companies and investors are returning home from overseas adventures in search of stability. The geopolitical and financial worlds have been the cause of many a sleepless night for executives, investors and politicians alike. The big question they face is that, in a world of insecurities, can one still find stability and safety in investments? This question is at the root of Senior Homes’ concept and developments. There are few things in life that are still certain. The average age in Europe is climbing at an unprecedented rate, much faster than ever expected. This already poses significant challenges for governments and requires private initiatives to supply sufficient housing and service solutions for the ever-increasing seniors group. Western Europe, and the Flemish region in Belgium in particular, is still one of the most productive and stable regions in the world. It has one of the highest amounts of wealth per-capita concentrated in a very specific zone. Newly constructed real estate in prime locations in this region, with a focus on the right target audience, is therefore an amazing investment opportunity. This is why pension funds and other institutional investors are focusing more and more on this market. Senior Homes has combined these facts into a new real estate concept, tailored to the needs of the upcoming senior population and those of the hordes of investors looking for safe havens with good returns. The company started with a primary focus on quality and service, seeing as this is precisely the area in which others in the sector are lacking, sometimes leading to abysmal conditions unworthy of our seniors. Quality arises from several key factors. First of all, all Senior Homes projects are constructed by the most renowned international contractors, ensuring the best possible follow-up and also the financial stability of the contractor. Secondly, Senior Homes specialises in only one segment and has developed a novel way of realising its projects. 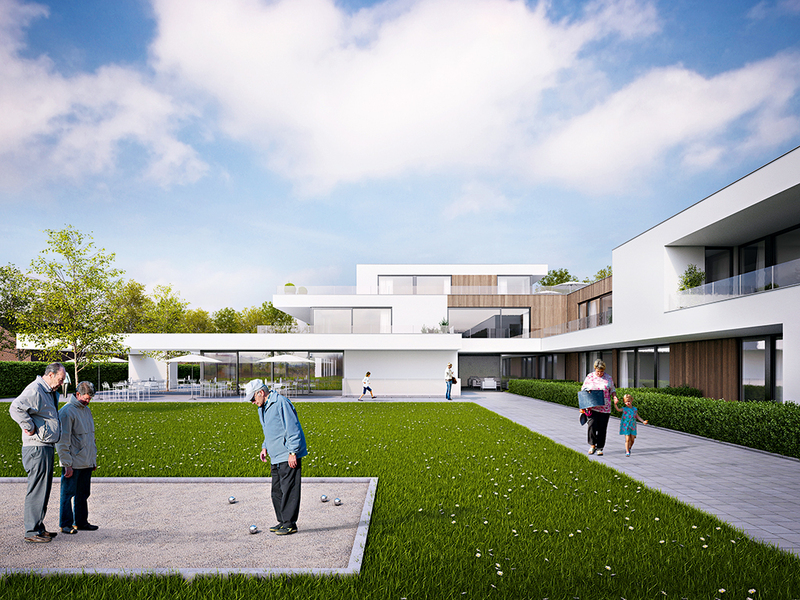 It is developing a new generation of senior housing projects only in prime locations, starting in centrally located cities in Flanders and expanding to other regions in Western Europe in the near future. Furthermore, every project will be run by a team of specialists, who have been trained in-house to ensure only the best care and service for all residents. Services include restaurants, wellness and fitness programmes, personal trainers for specific healthcare solutions, and services tailored for each individual. These all contribute to satisfying the very specific needs and wishes of our senior population, which in turn guarantees the investor a stable and attractive return. Regulators in Belgium have also recognised Senior Homes’ efforts and have allowed a significantly reduced VAT rate, as well as an exemption of property tax. These factors contribute greatly to an increased net return on an investment in these projects, especially when combined with the available financing options. Currently, Senior Homes is developing 13 projects in the Flemish region and is scouting for possible locations in the UK and France for possible future expansion opportunities. Of the current projects, several have already been sold to high-net-worth individuals and institutional investors, and several are in the pipeline for sale later on this year.